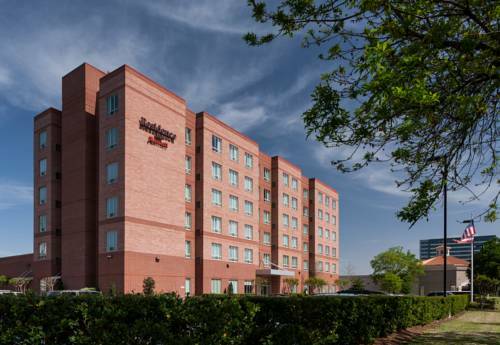 Feel the energy of a thriving metropolis coupled with the comforts of a cozy home when staying at the Residence Inn Houston West/Energy Corridor. Warm touches such as crackling fireplaces complement modern amenities including free Wi-Fi and fully equipped kitchens in all of our suites, making for the most relaxing and productive stay at our Houston Energy Corridor hotel. Complimentary hot breakfasts and evening hospitality receptions add a downhome feel. Book intimate events in our 600-square-foot meeting room capable of hosting up to 60 people. During downtime, maintain a regular exercise routine in our fitness center, or relax after a long day in our pool. Our pet-friendly West Houston hotel is near many of the area's top businesses, including Sysco, BP, Shell and Citgo. For recreational activities, Baseball USA, Topgolf and Memorial City Mall are close by. Our free shuttle offers rides to attractions within a 5-mile radius. Whether staying overnight or for a week, our hotel will make you feel welcome.